Contractors sharing knowledge, supported by industry. Rugged, seasoned individuals who started as their own foreman and salesperson. Efficient (read underpaid) husband and wife teams. 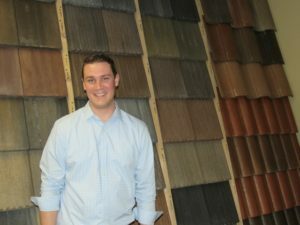 Business people who see that a well-run roofing company can return economic profit. Multi generation companies where knowledge and skills are shared and built upon. Young entrepreneurs, eager to learn, open to new ideas and growth. Having all of these traits in one company? Priceless. Our featured contractor is an example. Brazil Quality Construction, Inc. serves the greater Sacramento area in Northern California. John Louis Brazil Sr. taught his son Michael D. Brazil from an early age to take pride in his work. Michael was hand taught by his father to be a master shake and shingle applicator on roofs and walls. In May of 1989 Michael began contracting in the local Sacramento area. His wife Cyndi plays a critical role in the company office. Michael D. Brazil taught his own children, Michael J. Brazil, Nicholas & Anthony, roofing skills with the same principles of pride and quality. Michael J., Nick and Anthony have all joined Brazil Quality Construction Inc. and continue to work with their parents. Michael D., Michael J., Nicholas and Anthony have all taken the Tile Roofing Certification Course along with several of their staff. They are an impressive combination of the best in our industry. Michael J Brazil – Brazil Quality Construction, Inc.
1. In addition to the value of roofing knowledge shared, is there a shared understanding that helps create the culture at Brazil Quality Construction Inc.? I think culture is key, and cultures are created by beliefs, morals, ethics, standards, knowledge, etc. Cultures always start at the top. Many companies value speed and efficiency over quality. We are just the opposite. We applaud our team if they see something that should be improved and go the extra mile to do it right by our standards. One aspect of my Dad’s (Michael D. Brazil) personality that I respect the most is that poor installation is completely unacceptable. It creates our culture of uncompromising quality. If there is something wrong with our work we’ll go back and make it right. That “quality first” mindset makes an impression on everyone at the company from his sons, to his sales team, and our roofers. Our homeowners and builders have the confidence that we will always stand behind our work. In roofing it’s always the “little things” that matter: the solder weld on the flashing, the downspout location on a lower roof, the flashing size, the way the valley is cut in at the eave, the nailing pattern, etc. All these little things add up to make a quality installation. We are extremely proud of our finished product because it doesn’t come about on accident. 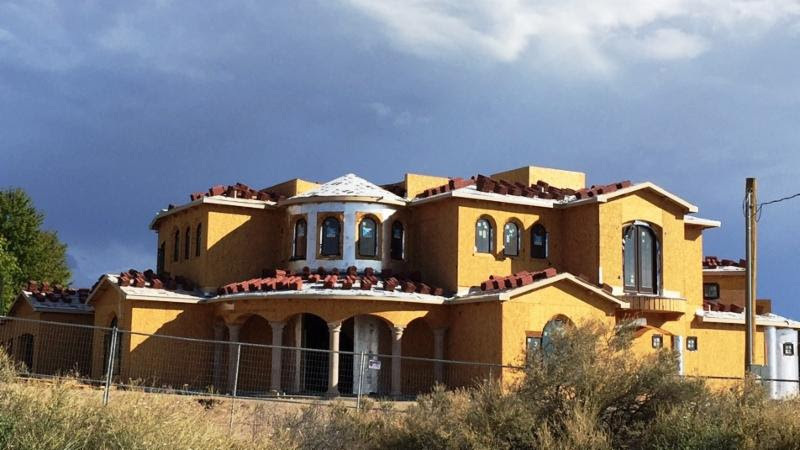 We spend extra time on the roof, and in sheet metal shops to make sure the roof system we put on your house is tailor made for your architecture, and meets the needs of your specific home. Houses are like a custom made suit, one size does not fit all. In the complex architectural world we work in a good roofer must know how to address each situation. So, in the end we all know what the Brazil standard is, and we don’t compromise, even if that means losing work at times. 2. Your focus on Quality gives Brazil Quality Construction Inc. the feel of a company able to tend to discriminating, high end clients. But you are also putting down a lot of squares. How do you maintain that standard of quality in production scenarios? See the Michael’s response and more on the TRI Blog. A recent “Ask the Expert” response by TRI President and Technical Director Rick Olson, addressing concerns about tile loaded, but not installed. Response – From the tile standpoint there is no time table for when they are installed. The real issue is the length of time that the underlayment might be exposed to the UV. We always recommend that you check the underlayment instructions to see how long the material can be exposed prior to covering. In areas like Arizona, some of the lower end materials and some of the synthetics have a very short exposure time. In other areas, they may last longer. With so many different types in the market, we are not able to make a blanket statement on exposure times. Read more on the TRI blog. 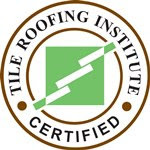 Check for schedule updates at www.tileroofing.org. Renew Your Certification* & Stay on the Map! 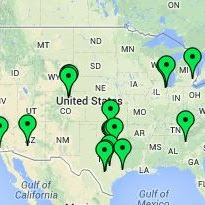 Companies with TRI Certified employees are listed on the TRI Website Find a Contractor page. TRI Certification is good for 2 years. If your certification is about to expire or has expired within the past 6 months, you can renew on-line* by following the instructions on the TRI website. *Florida High Wind certifications are not currently eligible to renew on-line. We hope to have that option added soon.